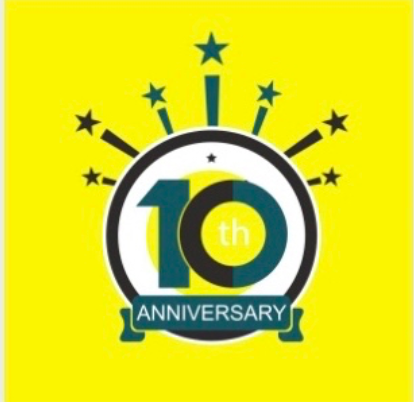 ETOW: Ten years and counting! It’s hard to believe it’s been a decade since a school in Kibera, Kenya, took its first delivery of ETOW self-powered radios, generously supplied by our friends at the Eton Corporation. Since that day, ETOW has empowered educators, students, health workers, and communities throughout our world…for ten years and counting. We couldn’t have done it without you: Thank you. Sierra Leone. South Sudan. Haiti. Ghana. Mozambique. Mongolia. Chile. Belize. Uganda. Cameroon. Rwanda. Tanzania. Puerto Rico…Yes, we’ve been there, simply doing what we do and giving it our all––building the most incredible partnerships, and meeting the most extraordinary people, people who make all the effort worthwhile. We couldn’t have done it without you: Thank you. And while we built our mission around radio, we now include other information technologies, even developing our own safe and affordable lighting solution for regions off the power grid. Powered by the residual energy in one dead AA battery gleaned from a rubbish pile, ETOW’s super-efficient Humanalight will give a school child the light needed to read for weeks on end. And since this small flashlight can be constructed by scout troops, radio clubs, first-year engineering students, Maker groups––to name but a few––our Humanalight furthers education both before and after its little light shines on…and on. We couldn’t have done it without you: Thank you. In a recent interview, I described ETOW as the tortoise in the world of charities: while we’re neither the biggest nor the fastest, we are steady, we are focused, and, whenever possible, we are there. We are guided, not by grand visions of success, but simply by compassion, common sense, and our ongoing goal of consistent support. ETOW remains an all-volunteer nonprofit, upheld by a rock-steady base of caring donors––like you––who understand the powerful impact of focusing one’s giving where it’s needed most in our world. With your help, we’ll keep doing our part to brighten children’s futures, support teachers, expand health outreach, and rebuild storm-ravaged communities. And it’s clear: We couldn’t have done it without you. Thank you. 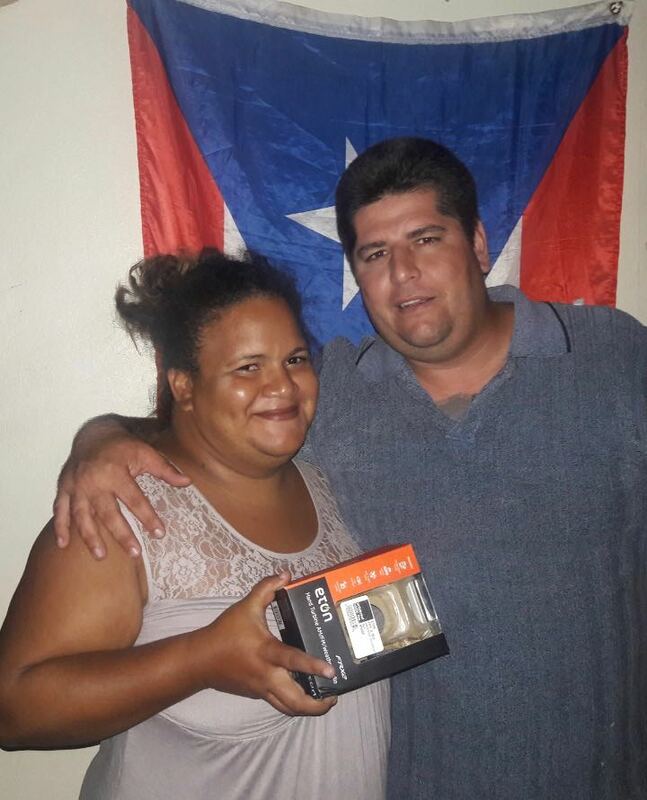 Just one of the sixty families we helped in Puerto Rico this year. Both 2017 and 2018 have been active hurricane seasons. 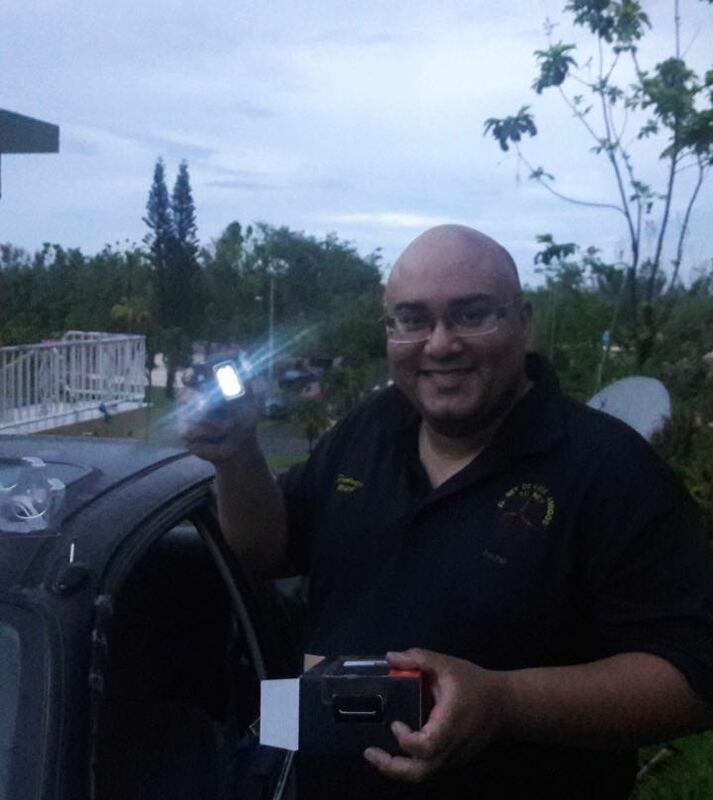 In 2017 ETOW noted the terrible destruction Hurricane Maria caused on the US island of Puerto Rico, and with the aid of a local PR ham radio club, initiated a pilot project to distribute emergency radios in communities there. 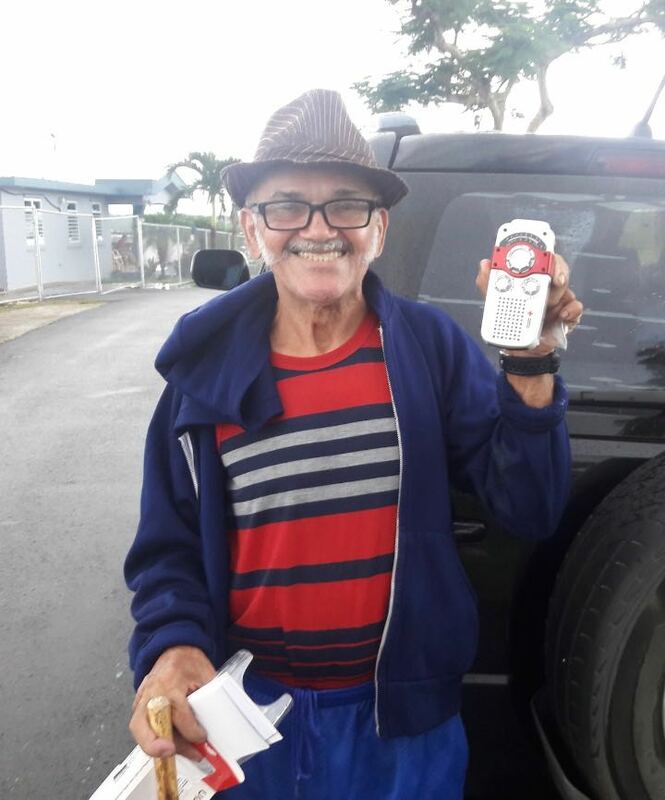 In early 2018, we continued sending radios and helped inform sixty Puerto Rican households through a reliable, accessible form of communication: namely, radio. ETOW has been working in Haiti now since before the 2010 earthquake with our dedicated partners at the Haitian Health Foundation (HHF). Why? Recovery takes time. When a major disaster is no longer covered by the media, and the rest of the world has moved on, the people in the midst of the devastation are often just beginning to rebuild their lives. This is not the time to forget them. So this year ETOW sent an additional 240 self-powered radios to rural Haiti, where they’re still needed. 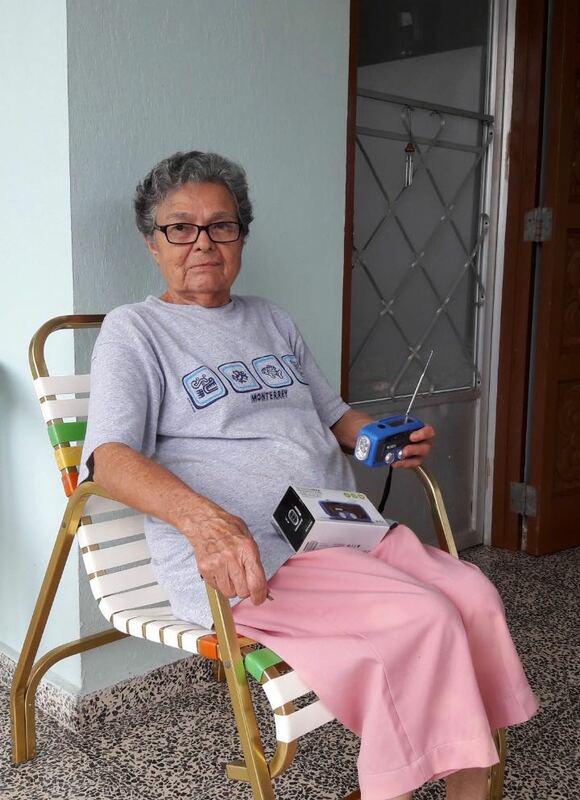 Our partners with the HHF continue to concentrate the use of ETOW radios among the visually impaired. Having a self-powered radio can open up the wider world to visually impaired people, who often become important sources of world events and weather information within their local communities. In addition, we’re working on a pilot project implementing a self-contained wireless digital library that can be deployed both at HHF community facilities and in the field. These digital libraries are essentially small computers holding 128 gigabytes of teaching and learning material in English, French, and French Creole. Students can log into the digital library via smart phone, tablet, or laptop to take classes in language, math, physics, chemistry, social sciences, and more. There are even video modules designed around health training: a win-win for both health care trainees and for the communities who need them. ETOW remains committed to our strong partnerships, which enable us to achieve our mission on what other NGOs might call a shoestring budget. And we’ve now proven that this model works. With your help, we’ll continue to do our part for years to come. We truly hope you’ll continue to stay interested in and involved with Ears to Our World. We welcome your support in any form. And to those who have given, and continue to give––our heartfelt thanks. In 2019, may blessings abound and may peace guide us all toward a promising future. We'd like to let the Haitian Health Foundation know that it's an honor working with them and reaching some amazing rural communities in rural Haiti! Here's to the power of partnership! Thanksgiving is upon us here in the US. Ears To Our World wishes to offer our heartfelt thanks, both for those for whom we exist, as well as for those who so generously support us and without whom we couldn’t exist: you. Many are aware of the devastating destruction caused by Hurricane Matthew in Haiti, a country that was still in recovery from the 2010 earthquake. Following the storm, ETOW's intrepid partners at the Haitian Health Foundation rushed into action, distributing our remaining stock of analog self-powered radios for medical and sustenance relief. We’re gathering more supplies even as you read this message. Many may not realize that the information a radio provides can be as important as food and medicine––indeed, radio informs Haitians where they can obtain clean water, fresh food, and medical assistance, as well as how to locate loved ones. Thus, an ETOW radio can mean comfort and connection, as well as survival and safety, giving victims the will and means to carry on. ETOW is now teaching HHF staff how to build HumanaLights in the field. Our HumanaLights are simple LED flashlights in kit form that run for weeks on a single dead (depleted) AA battery––and for many months on a fresh battery, even with heavy use. To many, this remarkable little light in the dark means safety. Meanwhile in Kenya and in Tanzania, a new batch of ETOW radios provide news, health, and safety information. And this year, we successfully designed and deployed portable solar battery charging and lighting systems in Cameroon and South Sudan, where several schools and a girls’ dormitory will now have reliable light. Clearly, ETOW continues to be dedicated to improving lives and building children’s futures through appropriate, energy-efficient technologies. If you would like to make a tax-deductible gift to help us help others, you can send it in the enclosed envelope. Or, feel free to give the gift of radio here on our website (printable donation forms available). If you would like to learn more about the HumanaLight kit, or if you would like to purchase one, check out: humanalight.org. ETOW radios being distributed through our partners in Tanzania. We hope you've had a wonderful 2016, and continue to stay interested in and involved with Ears to Our World. We welcome your support in any form. And to those who’ve already given it: We thank you! In 2017, may the light of tolerance and song of peace spread throughout our listening world. Ears to Our World extends our profound thanks, both for those we support, and for those who support us: namely, you. This past year––2015––will be noted as the year ETOW provided significant support for schools and communities in the wake of the Ebola virus, even as we continued our consistent support for our long-term partners throughout the world––such as Project Education South Sudan in South Sudan, Western Carolina University in Kenya, and EduCare Africa in Cameroon. 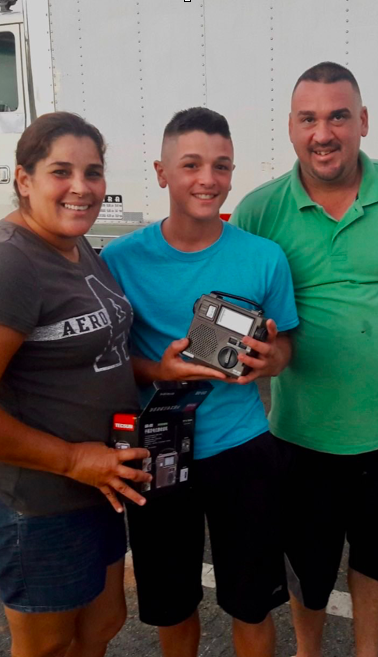 We are also grateful to our partner and supporter, Eton Corporation, for their continued donations of the self-powered radios that fuel our mission. Thanks, Eton! And we couldn’t have done it without you. Thank you! Now in our seventh year, ETOW remains dedicated to improving lives and building children’s futures through appropriate technologies, such as self-powered radios and super-efficient flashlights. While we continue to work with our existing and new partners, we’re exploring the latest communications and media technologies in an effort to expand the horizons of the students and teachers we assist. We plan to test the use of an Outernet satellite receiver, as well as expand the use of the HumanaLight both through our mission abroad and here in the US. If you’d like to make a tax-deductible gift to help us in our mission, you can make your contribution online. If you would like to learn more about the HumanaLight kit––or if you would like to purchase one––check out: humanalight.org. We hope you've had a wonderful 2015, and continue to stay interested in and involved with Ears to Our World. We welcome your support in any form. And to those who’ve already given it, we thank you. May blessings abound and peace reign throughout our listening world in 2016! “A journalism student...receives the news over the ETOW radio and presents it every morning...to the entire student body. The Radio has been functioning now for two years without any problem. Thank you so much..."
“The ETOW radio is functioning effectively and we are making maximum use of this precious gift...Thank you..."
“Immense thanks and God bless your organization..."
“We pray that God should continue to give you the means to help other people around the world as you have helped us..."
And we at ETOW add our thanks to these. You have truly made a difference to the world––we, too, remain grateful now and always. Today is UNESCO World Radio Day–a day to celebrate the continued relevance of radio in the twenty-first century. • Send a shortwave radio, care of us here at Ears To Our World. You can send one self-powered shortwave radio to a classroom or community in the third world for as little as $40. In impoverished regions still without internet access or electric power, your tax-deductible donation of one radio can inform and empower an entire community of listeners. Click here to donate one time or, if you like, monthly. • If you’ve heard my 2013 recording for UNESCO regarding the relevance of radio, you may also like to visit World Radio Day’s webpage and hear what others have to say about the relevance of shortwave radio. Share this page with your friends. • Contact your representative(s) and remind them of the continued importance of shortwave radio in today’s world. Click on the following links to search for your government representative(s) in the USA, Canada, United Kingdom, Australia, and New Zealand. • Need more ideas to celebrate World Radio Day? Check out UNESCO’s great list. Wishing you a wonderful World Radio Day! It’s been a bright year for Ears to Our World, and we’re profoundly grateful for all the Support we’ve received––and continue to receive. So, thanks to our many, many friends––among them, educators, administrators, clergy, associates, guides, logistical experts, directors, and partner organizations the world over––and thanks to you. But among the brightest potential projects we’ve undertaken in 2013 is our new partnership with Western Carolina University’s Kimmel School of Engineering, where a group of bright students have just produced a new prototype of our HumanaLight, the remarkable little LED flashlight that shines long and bright, even when powered by the residual voltage of “dead” batteries. Right now, we need your help to raise the materials costs of our first production run of the HumanaLight. Please, won’t you help us reach our goal? We only need $5000 more to make this little light shine the world over. With our loyal supporters, we can do it...and school children in powerless areas will soon walk home, not just with their schoolbooks, but with a safe, affordable light to read them by. In 2014, may blessings abound and peace reign throughout our listening world. Happy holidays! Ears to Our World is delighted to announce that it has accepted a generous — and wholly unexpected — gift from a non-profit educational institution…clear on the other side of the globe. It’s an ideal illustration of how access to information shrinks the world, and can make it a better place at the same time. ETOW founder Thomas Witherspoon said the unforeseen largesse, from the Australian Institute of Music (AIM), which learned of ETOW through an Internet search, would support the organization’s continuing work in countries like Kenya, Cameroon, and South Sudan, where it has expanded its presence with a recent shipment of radios. The shortwave broadcast receivers ETOW distributes enable children and their support networks in the most remote, impoverished parts of the world to hear educational programming, local and international news, emergency and health information, as well as music and arts programming. The ambitious, course-related endeavor that led to the donation was a fulfillment of AIM’s Events and Project Management class. Dubbed “Memories & Melodies,” it was held at the Gaelic Theatre, Surry Hills, New South Wales, Australia, and focused on the theme of “Music Nostalgia” through film clips, hired props, and highlights from musical history. Entertainment included a hoopla performer, a ballet dancer, and a comedic gypsy. Guests also enjoyed a glam booth and photo booth, bingo, a dance competition, and a DJ playing hits from the 1950s through the present. Revenue would be collected from ticket sales, raffles, donations, a silent auction, and sponsorships. To donate those proceeds, the non-profit institution wanted to find a charity that aligned with its own vision. AIM fundraising team photo from "Memories and Melodies"--all dressed in the music nostalgia theme. Ashton Smith, project manager for “Memories and Melodies” and a student of AIM, said, “We agreed to align the event with an organization which focuses on ‘access to the arts’ in some form or another.” After much “scouring of the Web,” as Smith puts it, they came across ETOW, which had a further appeal to them by also targeting communities disadvantaged by social, political, or economic circumstances. They selected ETOW as the sole recipient of their donation. “At the Australian Institute of Music, we value the importance of having access to broadcast media, and can think of no better cause to support,” he added. “Memories & Melodies” was a resounding success, attended by 140 people and raising a total of $1,700 for ETOW. In a donation ceremony at the National Museum in Freetown, ACIPP’s Executive Director Simon Tsike-Sossah (standing) discusses radios donated by Ears To Our World. Seated next to Mr. Tsike-Sossah is Ibrahim Tommy, CARL’s executive director; seated at far left is Imma Mäder, ACIPP’s director for marketing and recruitment. (Photo by Kelsey Lizotte for ACIPP West Africa). In its continuing effort to improve the lives of children and their support networks in the developing world, Ears To Our World recently donated thirty world band radios to a human rights program jointly run by the African Community Internship Placement Programme (ACIPP) West Africa and the Centre for Accountability and the Rule of Law-Sierra Leone (CARL-SL). The radios are part of a proposed project that will use short messaging service (SMS) to generate data for human rights monitoring in Sierra Leone. In a donation ceremony at the National Museum in Freetown, Ibrahim Tommy, CARL’s executive director, explained that CARL and ACIPP West Africa are working together on a new technology-focused approach to human rights efforts. He said that the self-powered ETOW radios would contribute to the success of their Open Society Initiative for West Africa (OSIWA), established to promote transparency and accountability in local councils, as well as to other current and future undertakings. CARL-SL will distribute the radios in 15 communities across the country, where the organization’s locally based monitors work to promote human rights through combatting sexual and gender-based violence, and enhancing accountability and transparency in local government. The trained recipients will use the radios to tune various community radio stations and share the information learned with their communities, telling inhabitants about daily happenings in the country, and covering issues relating to human rights, domestic violence, good governance, transparency, and accountability, thereby empowering people through information dissemination. As an added benefit, Tommy pointed out that the radios offer a reduced burden for remote communities because they do not require a battery, and also offer mobile phone charging and flashlight capability. “In a country where electricity still remains a major challenge, particularly in rural communities, it is exciting to think of the ways these radios would enhance access to information in the communities we work,” Tommy said. ACIPP is a Netherlands-based organization whose mission is to foster exchange and community engagement between youth worldwide in order to enhance West Africa’s building capacities and capabilities. CARL-SL is an independent, not-for-profit organization that seeks to promote a just society for all persons in Sierra Leone through monitoring institutions of accountability, outreach, and advocacy for institutional transparency, capacity building, and empowerment of citizens, all goals that ETOW likewise supports. Today is November 6th, 2012 and tonight, people from all over the world will be following the US presidential elections. Though ETOW's partners live in some of the most remote parts of our world, they, too, will be following via the power of shortwave radio. The Voice of America is even extending their shortwave coverage to provide this news. Ironically, shortwave radio will be providing news from sources across the globe at the speed of light--no streaming, no buffering, no apps, no fees. No electricity? No problem: our radios crank out their own power with the twist of handle. Monday is World Radio Day, a celebration of the importance of the medium of radio throughout our world. Ears To Our World (ETOW) is celebrating by sending more radios to the world’s newest country: South Sudan. 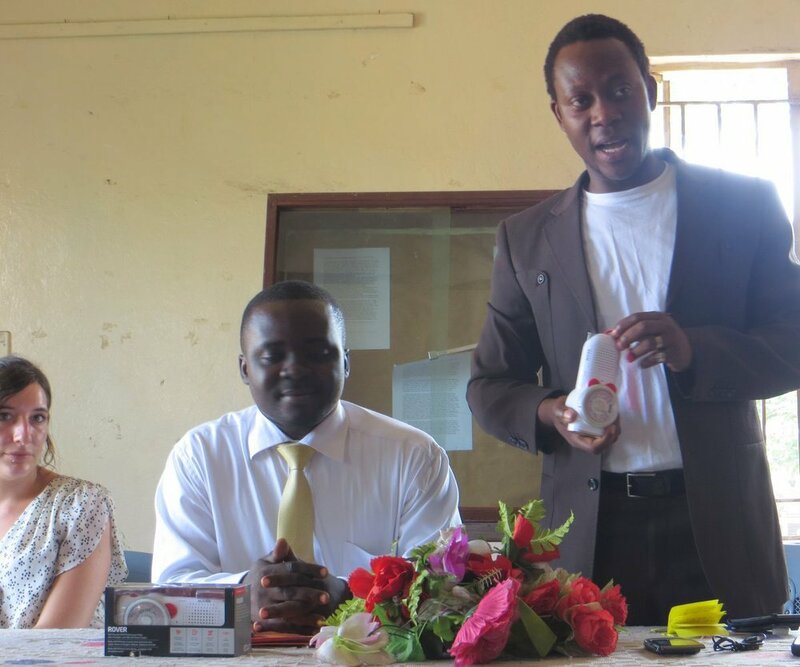 Our partner in that war-torn region, Project Education Sudan (PES), is a non-profit that builds primary and secondary schools and trains teachers in rural villages in South Sudan; ETOW’s radios, we’re pleased to state, taking a starring role in this teacher training program. There are currently four PES schools in an area of Southern Sudan so remote that resources often have to be flown in on chartered planes. ETOW radios are in all four, helping teachers bring both education and hope to a devastated population. There is currently no public telecommunications infrastructure in South Sudan, yet ETOW radios make diverse programming available to these teachers, via shortwave and FM broadcasts. In classrooms that lack not only electricity, but often paper and pencils, these rugged, self-powered worldband receivers offer a tremendous wealth of free teaching material. Our shipment of forty five additional radios is heading there. Daniel Majok Gai, a member of the board of directors of PES as well as its South Sudan program director, tells us that the teachers in the new schools are using ETOW radios to listen to FM 95.5 news from 6–10 a.m. and from 3–10 p.m. and to South Sudan Mirriaya news on a daily basis. Gai says that “the teachers use the radios to collect good stories and share them with the students.” From his observations, Gai adds, “These radios have created a wider benefit between teachers at PES school and those teaching from the government schools…living within the same community.” He believes the teachers working in the PES-supported schools have an enviable advantage over those in the government institutions. Our goal this year is to offer greater benefit to more children and their communities by sending additional radios to South Sudan, and even more countries where radio--whether local or international--is a lifeline of information in the community. Ears To Our World firmly believes that access to information is access to education and both are essential human rights. The self-powered world band radios that Ears To Our World distributes to remote, impoverished schools and communities around the world through its global partners are often subjected to extremes—not only climatic, in the form of relentlless tropical rains and scorching desert sand-storms, but also the political and economic, resulting in extremes of usage most technologies are just not built to withstand. To support ETOW's mission of providing the developing world with reliable access to information--e.g, educational programming, local and international news, emergency and health information--ETOW radios must be exceedingly rugged and maintainable in the field. Nevertheless, any technology experiencing this kind of usage must be expected to have a finite functionality: that’s the reason our commitment to ongoing partnership and follow-up support is so vital. When we place radios in schools and communities through our global partners, we do so as a collaborative effort among equals: to make a lasting impact in our served areas, our in-country NGO affiliates distribute the radios where they can do the greatest good. Additionally, our partner teachers and community leaders entrusted with ETOW's radios take responsibility for their care, monitoring each unit's function as a result of daily usage. ETOW maintains contact with these partners and provides assistance as needed and feasible. 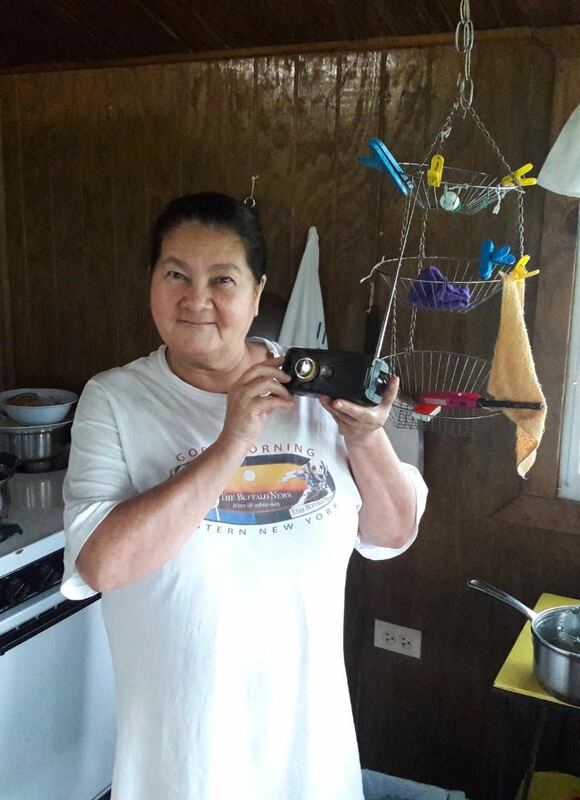 Fortunately, the Etón Grundig self-powered, hand-crank worldband radios with which ETOW works have been functioning superbly in the field, in places as diverse as Belize, Chile, Romania, Mongolia, South Sudan, and Cameroon. Thus far, these units have proven more than equal to the challenge: with care, these radios can last up to up to three years in the field, exceeding our expectations for the product. In areas where conditions are extreme, the radios do wear more rapidly, but we have learned that only tens in hundreds break within the first year of use, a remarkable finding and a testament to the committed care of the units by our partner-users. Even a more significant finding, however, is the validation of our organizational model. ETOW recently had the opportunity to examine the sole radio returned to us from a remote area of Cameroon where our partner, NGO EduCare-Africa, had assigned it for use as a teaching tool in a local school. While the radio still received signals after three years of use, it no longer charged by hand crank; ETOW requested its return for analysis. Pavla Zakova-Laney, Founder, President, Executive Director, and full-time volunteer of EduCare, promptly responded with the radio's return. In the meantime, as per our agreement, she offered the teacher partner a replacement radio. So, although the original radio experienced an internal component failure, it was apparently otherwise well-cared for, as the teacher partner had agreed upon placement; our NGO partner was informed of the problem, and served as on-site intermediary; and ETOW was able to address the problem by replacing the unit. Clearly, ETOW’s model of collaboration and follow-through works. ETOW’s experience in Cameroon is, in our view, a clear success story. According to Zakova-Laney, there are currently seven ETOW radios serving communities in Cameroon, being used in secondary/high schools. And although they are located in remote areas, EduCare estimates that nearly 2,700 students and teachers have directly benefitted from these seven devices. That number increases dramatically as news and other information is disseminated to students' families at home and to communities at large. But upon further examination, EduCare’s feedback is not all that surprising. In the areas ETOW serves, even one radio can produce a remarkably broad positive impact. 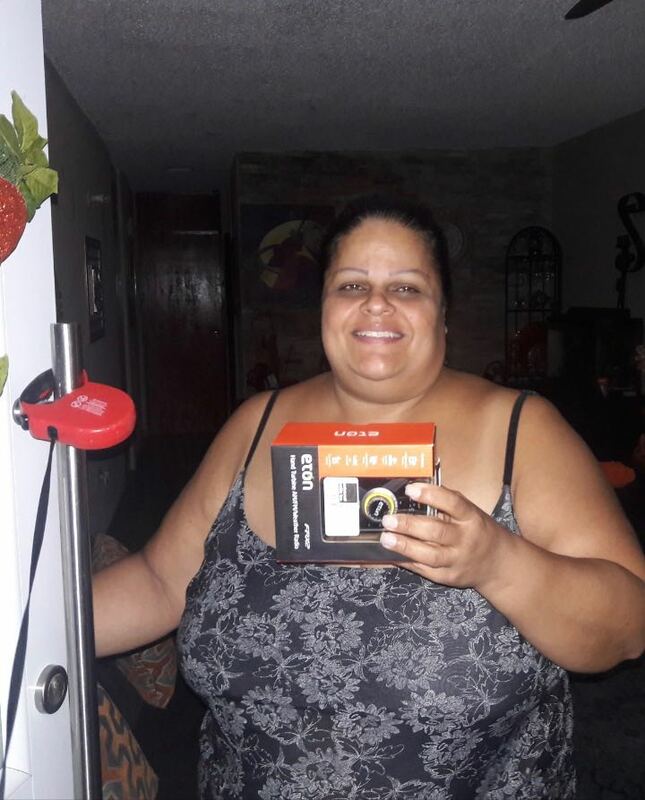 “Every school [that received a radio] greatly appreciated it, and promised it would be used well and handled with care,” explained Zakova-Laney. In developing areas, each radio is an invaluable resource because it can affect so many lives. Even the single returned FR200 with the broken crank, in otherwise good condition despite extensive use, reinforces what we’ve believed from the beginning: radio is the best method to reach the greatest number of people where the need is greatest in the developing world. It is economical, uncomplicated, broadcasts are unhindered by boundaries and politics--and, as we’ve seen, as tough as it needs to be. ETOW extends our appreciation to our generous supporters who enable us to do what we do. Thank you all.